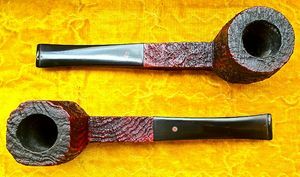 Ashton Estate Pipes | Chicago's Pipe, Cigar & Tobacco Store | Iwan Ries & Co. In 1959 a lad of 15 signed on with Alfred Dunhill Ltd as a capstan-lathe operator. Thus began the career in pipe making of one "William Ashton-Taylor", maker of the ASHTON smoking pipe. 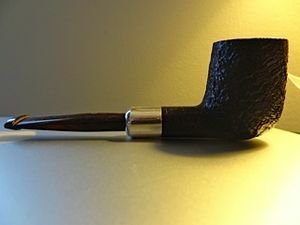 Now at age 15 one didn't immediately begin to fashion pipes at Dunhill's. There was a long apprenticeship which involved much sweeping up of pieces of briar and vulcanite, and being "tea boy" to the pipe makers. But Bill showed keen interest in learning the craft. Even before he was permitted to attempt to make pipes at the factory he would bring home rejected bowls and mouthpieces in order to experiment. Several of the "masters of the bench" noticed Bill's interest, but these were very serious craftsmen, and each had developed processes over the years which they were loathe to share with each other, let alone the newcomer. Finally Harry Saigrott, having recognized Bill's exceptional raw talent, began to share his expertise which was in the art of making the mouthpiece and mating it to the bowl. 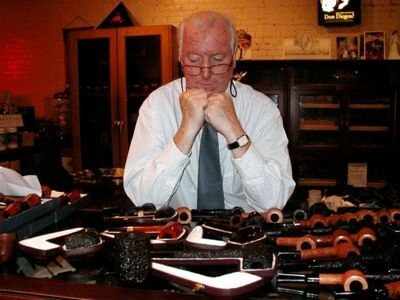 In time the others came round and Bill was able to learn all the jealously guarded processes that had made the Dunhill pipe the world's finest. In the early 1980's Bill strongly felt the need to form his own company in order to return both pipe making and the finished product to the very high standard formerly held. From the time the first pipe bearing his name was made to the present, ASHTON pipes have been manufactured of the best materials and with the utmost skill. And because no one today knows more about the criteria for making fine briar smoking pipes than William Ashton-Taylor, there is no more convincing guarantee for the high quality of ASHTON pipes than the man himself. R.D. 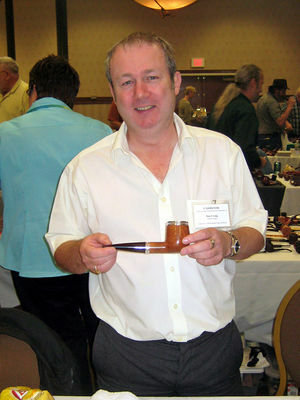 Field played a critical roll in Bill Taylor's transition from Dunhill to the father of Ashton pipes, Bill Ashton-Taylor. Field wrote The Ashton Pipe Story chronicling this transition. 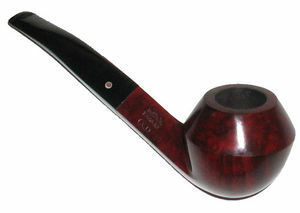 Due to Bill's unique knowledge of pipe making and the seasoning of briar, he was granted a British patent for his method of manufacturing. This special process results in pipes that are 12- 14% lighter in weight than comparable pipes of other brands. About his handmade pipes Bill states: "For us, both parts of the pipe are equally important- bowl and mouthpiece. In both cases the best material and perfect finishing are essential." Each ASHTON pipe, therefore, offers quality from bowl to bit. The purchase of selected briar wood is the most important pre-condition for the manufacture of high-quality pipes. Thus Bill insisted upon selecting the wood for ASHTON pipes himself. This is a privilege very few pipe makers enjoy today. Bill traveled to Italy twice yearly in order to select and purchase wood. And he has developed such a special relationship with the briar saw mills in that country that only he can command the truly huge pieces of briar that are required for the ASHTON "magnum" pipes so prized by collectors worldwide. Bill used Calabrian briar for his smooth finished pipes because the wood is both hard and light, coming as it does from a light, sandy soil. Often he took these straight grain plateau blocks and turned them on their sides in order to fashion beautiful cross grain/birds eye pipes which are widely believed to smoke cooler than straight grains. Briar from Tuscany is used for the ASHTON sandblast finishes, as this type of briar takes on a rich, deep patina after the soft grain is removed by the sand-jet. 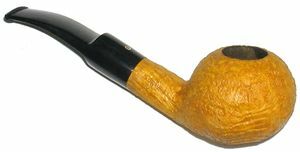 Ashton sandblasted pipes are often compared to early Dunhill Shell pipes, which are highly prized for their deep, craggy sandblasting. 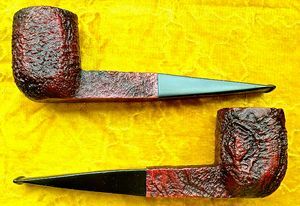 While Dunhill seems to have, by and large, abandoned the deep sandblasting technique as time has progressed, Ashton revived the practice, as can be seen on Ashton sandblasted pipes. 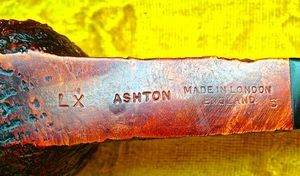 The manufacture of ASHTON pipes is based upon an ingenious method first developed in 1915 and improved upon after years of experimentation by William Ashton-Taylor. After the pipe bowls are turned from briar blocks they are heated for eight hours in order that they expand. They are then steeped for an additional eight hours in a mixture composed of three beneficial oils. During this procedure the wood acts like a sponge in soaking up the oils. After steeping, the oiled bowls are placed on heated brass pegs where they reside for fourteen days. Throughout this period the oil "exudes" from the briar, bringing with it unwanted sap and residue and leaving behind the nut-like flavor for which ASHTON pipes have become renowned. 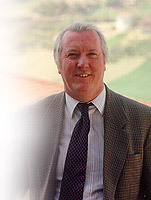 William Ashton-Taylor passed away on September 16, 2009. Jimmy Craig is the only person we are aware of that carries on William's traditions in crafting pipes the “Ashton” way and this can only be verified by you, the pipe community as you experience his work. It is hoped that Jimmy will continue William's legacy, as the art of crafting smoking pipes is now a very rare skill indeed. Ashton-Taylor Pipes hopes that you agree that the quality of Jimmy’s work is indeed that of William, for William was very proud of the work that Jimmy was producing for him in 2008 and 2009. 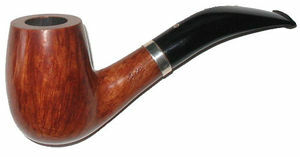 The first pipe was made in 1983. From this year and at least up to 2002 pipes were stamped with a suffix number after the origin "Made in England". It starts with no. 3 in 1983 and continues counting up to no. 25 in 2005. First year pipes were stamped with simple block lettering and did not include a finish stamping. The origin on first year pipes was stamped "MADE IN LONDON ENGLAND". There were only 31 pipes made in total in 1983, which means they are quite rare and sought by Ashton collectors.